Transform your Snap-Loc Dolly into a Platform Truck for hauling a whole new range of bulky items making your moving job much easier, safer and faster. Get two Platform Truck Bar Sets and put one on each side of the dolly for pushing and pulling. With our interchangeable bar design you can take 2 Platform Truck Bar Sets + 1 Extension Bar Set and make = 1 Panel Cart Bar Set. Another great feature of the Platform Truck Bar Set is our multipoint disconnection design great for storing away in a small space. 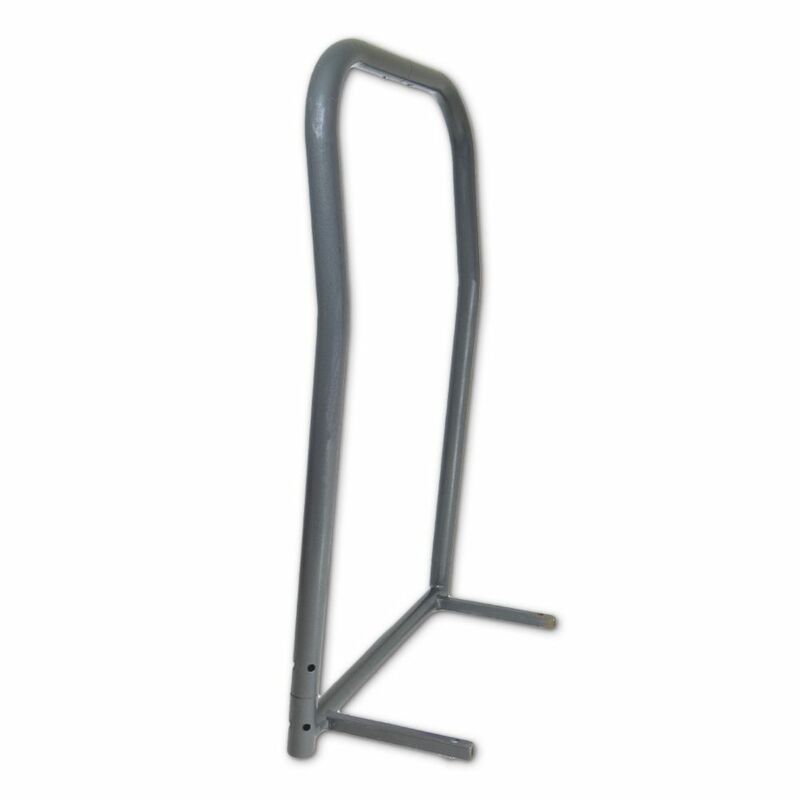 These heavy duty steel bars are protected with a durable heat treated powder coat. Need E-Straps to connect to your Snap-Loc Dolly? Check out our heavy duty Cam and Ratchet E-Straps. Don't forget about our 6 inch Dolly Connector Straps for Inter-Connecting your Dollies. Compliment your Snap-Loc Cargo Control System with "Snaplocs" (E-Track Singles) for positive locking E-Strap connection to your Pickup Trucks, Trailers, Lumber Racks and more! Transforms the Snap-Loc Dolly into a Platform Truck. Interchangeable bars; 2 Platform Truck Bars Sets + 1 Extension Bar Set = 1 Panel Cart Bar Set. Let this lightweight hand truck do all your heavy lifting. The ergonomic design makes it ideal for home or work. Easily converts to a 2-wheel upright, 4-wheel or assisted 4- wheel hand truck with just one hand-no tools, no pins, no kidding. The Super Steel 300 Hand Truck by Harper provides 25% greater performance over the competition. The Ergonomic Handle design provides for easy 1 or 2 hand control by the operator. Larger Base Plate for added load support. Snap-Loc Dolly Push Bar Set Transform your Snap-Loc Dolly into a Platform Truck for hauling a whole new range of bulky items making your moving job much easier, safer and faster. Get two Platform Truck Bar Sets and put one on each side of the dolly for pushing and pulling. With our interchangeable bar design you can take 2 Platform Truck Bar Sets + 1 Extension Bar Set and make = 1 Panel Cart Bar Set. Another great feature of the Platform Truck Bar Set is our multipoint disconnection design great for storing away in a small space. These heavy duty steel bars are protected with a durable heat treated powder coat. Need E-Straps to connect to your Snap-Loc Dolly? Check out our heavy duty Cam and Ratchet E-Straps. Don't forget about our 6 inch Dolly Connector Straps for Inter-Connecting your Dollies. Compliment your Snap-Loc Cargo Control System with "Snaplocs" (E-Track Singles) for positive locking E-Strap connection to your Pickup Trucks, Trailers, Lumber Racks and more!